In spy shots received by industry magazines, the first ever SUV model from Bentley has been seen with full road production bodywork. The shape and of the vehicle appears to have barely changed since the manufacturer’s initial sketches and vision. It continues to feature a bolder and more prominent mesh front grille and sparkling oval headlight clusters for an animated and confident face. Larger air intakes positioned low on the front bumper have been added to draw more air to the SUV’s twin-turbocharged engine. The vehicle is expected to use an intelligent and advanced electrical system, and to have a potential top speed of 200mph. The electricals will be required for adjusting the air suspension while on the road, particularly to automatically lower the suspension at higher speeds. Teaser shots have also revealed the interior of the model, and an expansive digital dashboard with clear instrument displays. For the final version, a central screen for infotainment and bespoke Bentley navigation is anticipated to be included. It’s expected that the new Bentley SUV will go on sale during 2016. 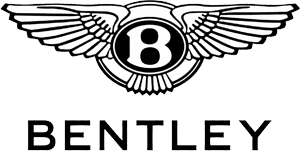 Register your interest in any new Bentley car and discuss the latest developments from the manufacturer with the Charles Hurst Bentley team in Belfast.